I don´t have nightmares, I create them! I was a little bit bored today and sometimes if you are bored, then it might be a good idea to go through own photo material or photoshop project´s and so. 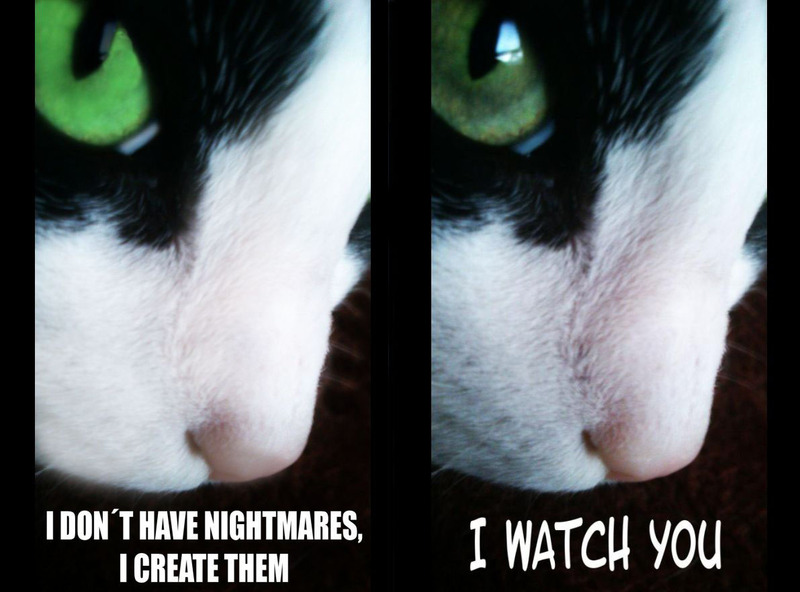 And it was a good idea because I found one lolcat meme which I thought needs a little improvement. 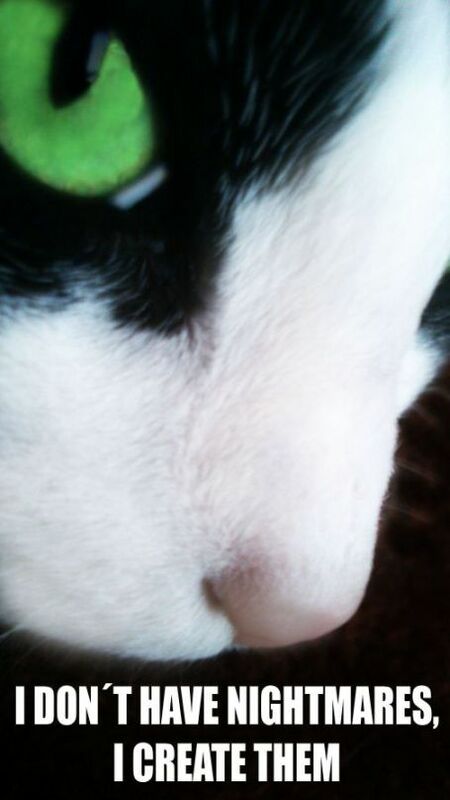 I disliked the clearly visible reflection on the eye of my cat. I also thought that it would be funny to change the eye color with a more aggressive green colour value. I am not a photoshop professional but removing a reflection with the stamp tool or changing the colour of eye´s, is something I can do. Also the image appeared too pale in my opinion. I thought it would be fun to create a new layer and paint with black over the black fur and with white over the white fur to give the colours more power. But I did so with less than 40% opacity on my brush tool. I do think the new image looks more synthetically but anyhow interesting. What do you think? Which one do you like more? You can also find more lolcat memes on my blog if you like. Hearts of Iron 3 and all Add ons 75% off on Gamersgate right now!